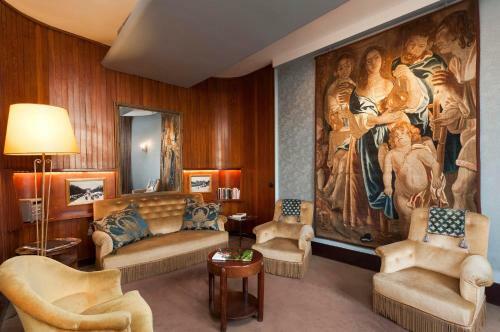 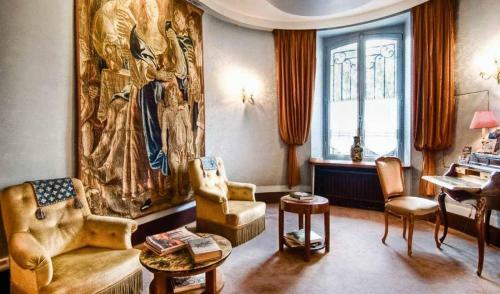 Guests are invited to relax in the Quai Voltaire’s lounge, which features an antique tapestry. 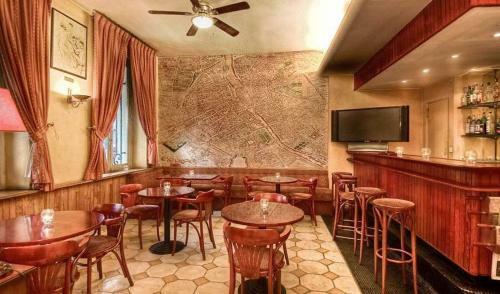 There is also bar with a plasma-screen television. A continental breakfast is prepared every morning, available at an extra cost. 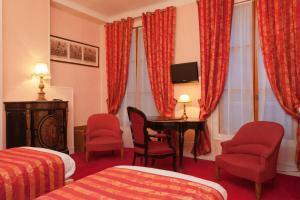 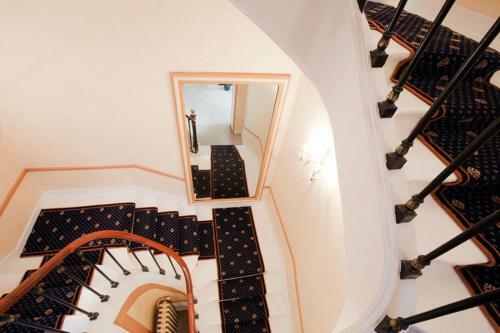 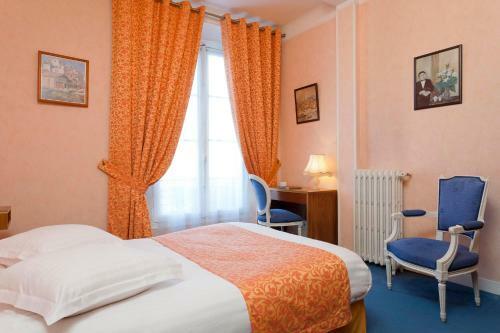 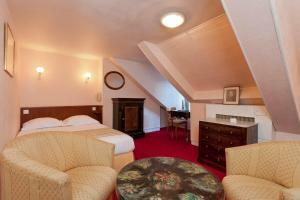 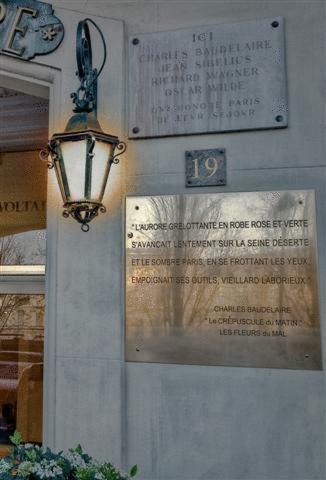 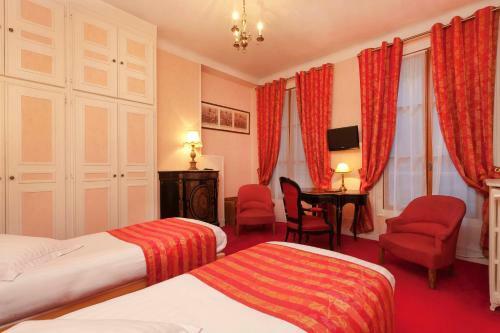 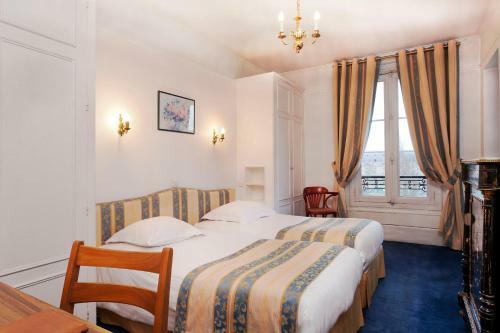 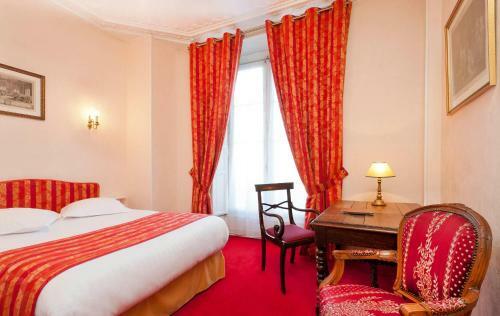 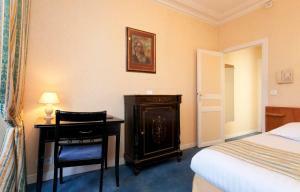 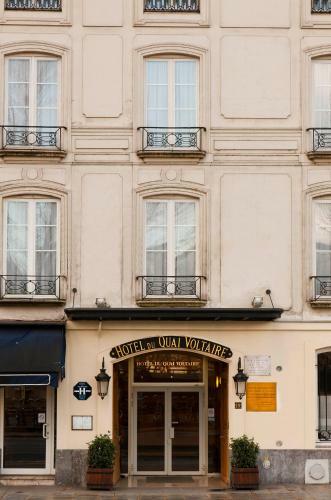 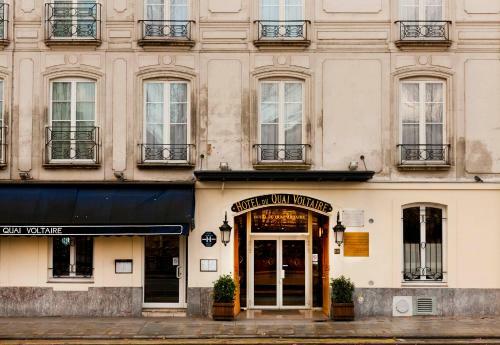 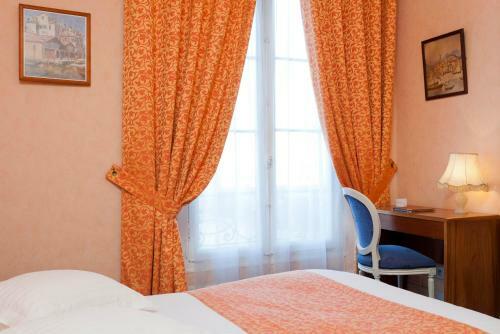 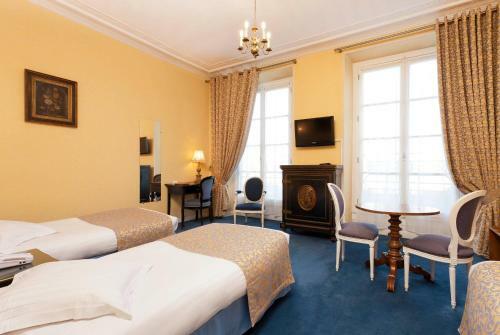 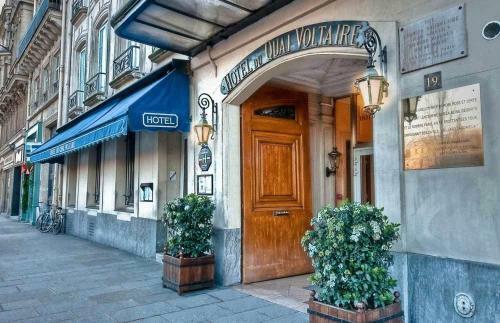 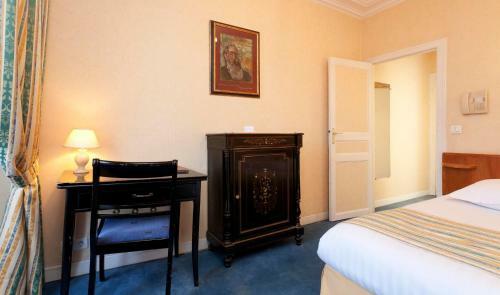 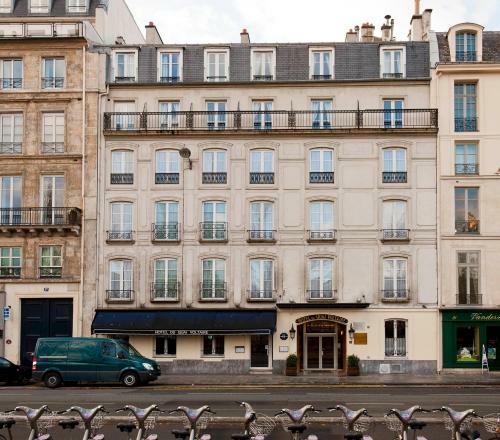 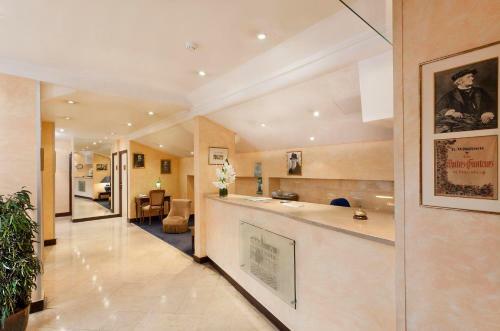 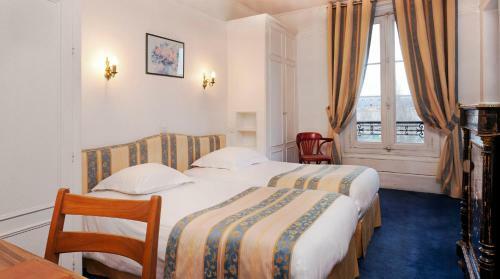 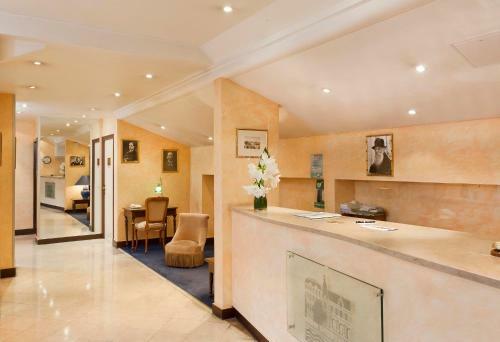 The Hotel Du Quai Voltaire has a 24-hour reception and provides an airport shuttle and ticket service. 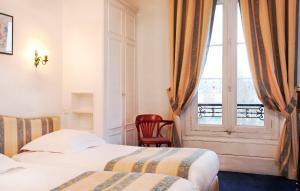 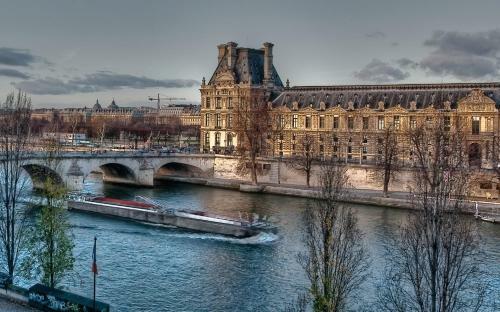 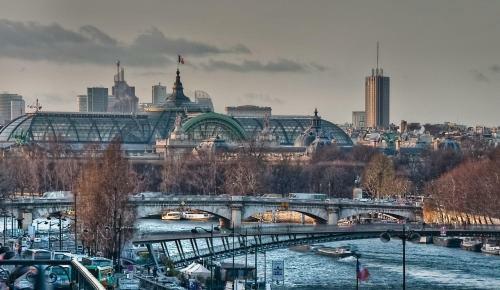 The hotel is 600 metres from the Musée d’Orsay and the Jardin de Tuileries. 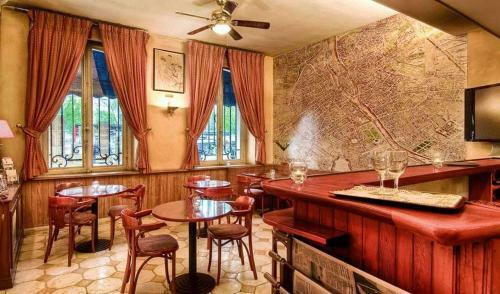 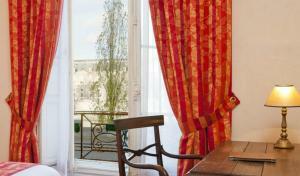 It is a 10-minute walk from Saint-Germain-des-Pres in the Latin Quarter. 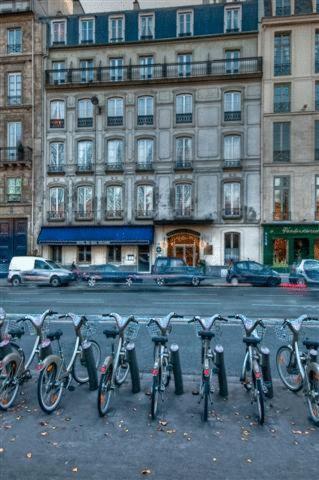 Palais Royal – Musee du Louvre Metro station is 550 metres away, providing direct access to the luxury boutiques on the Champs Elysées. 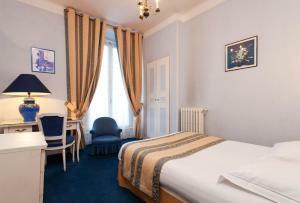 Please note that no extra beds are available in any room type apart from Courtyard Twin Room. 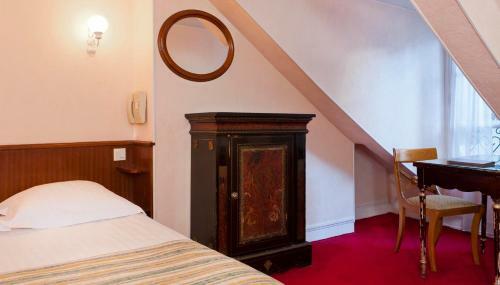 This room has free Wi-Fi access and a private bathroom. 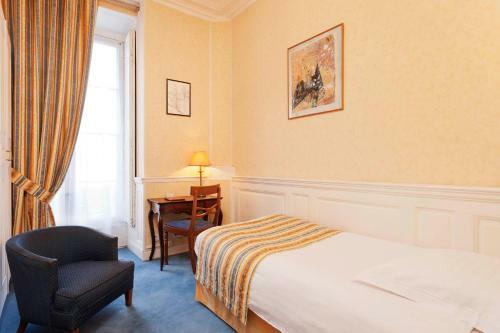 Please note that this room can not accommodate a baby cot. 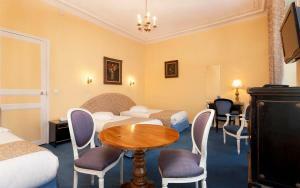 Rate: € 106.00 ... € 208.00; select dates below to get current rates. Rate: € 123.00 ... € 141.00; select dates below to get current rates. This room has free Wi-Fi access and a private bathroom. 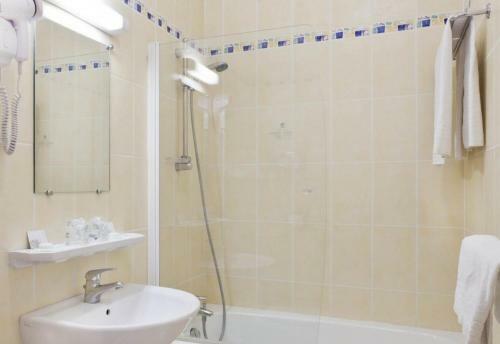 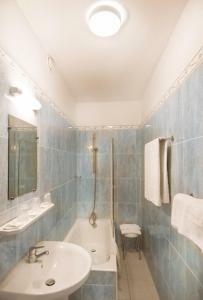 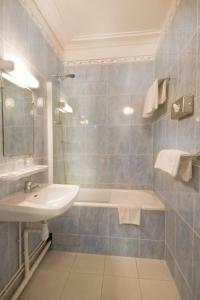 This spacious room has free Wi-Fi access and a private bathroom. 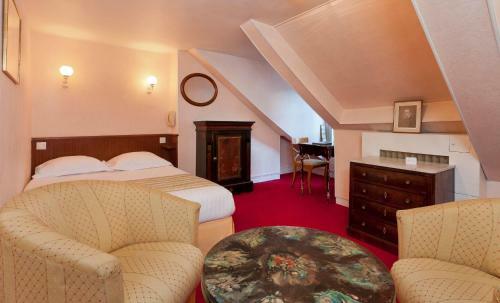 This room has free Wi-Fi access, a private bathroom and views over the courtyard. This room can accommodate a baby cot or an extra bed upon request and for a supplement.